Stampsational: Stampin Celebration Thank You! 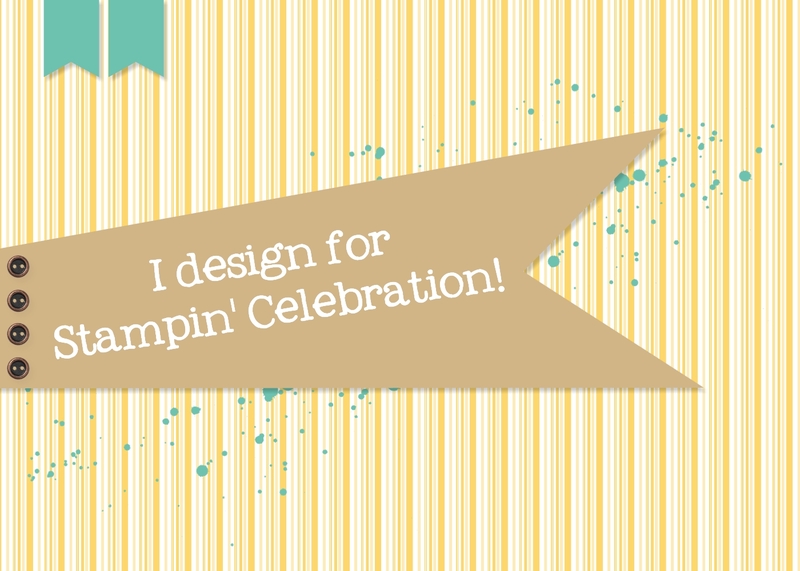 Welcome back to Stampin' Celebration! I certainly needed a little break. I had a crazy spring between work, going back to school and other life events happening, I was overwhelmed and needed a bit of a break. I have a problem in that it is hard for me to say "no". I am finally learning to prioritize. I still get caught up in trying not to let anyone down, I am sure I will continue to challenge myself on that front! In any case, I am very happy to be able to craft, even if it's only here and there. It helps me relax and organize my thoughts. I suspect it may be similar for others! Of course, it is also one of the many things that keeps me up at night! I was happy to have a little inspiration this month with the Stampin' Celebration Inspiration Challenge (SC128)! I was cleaning out my retired products since the new Stampin' Up! Annual Catalog got released on June 1st and was happy that the Wonderous Wreath and matching framelit were still available! While this is a holiday set, the wreath can be used for any occasion. I loved the bright green and yellow colors so I decided to stick with those colors. I used Cucumber Crush, Garden Green and Crushed Curry. A little vellum helped wash out the Cucumber Crush DSP background so that the wreath stuck out. I also decided to use the Crushed Curry enamel dots since the stamped berries didn't show up as well. 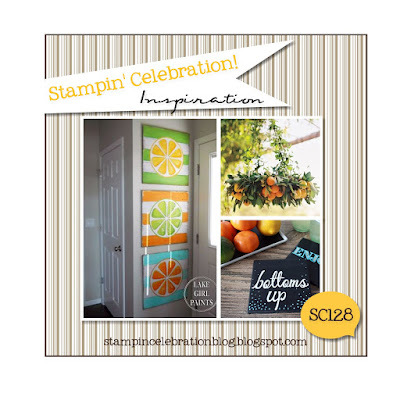 The banner is from a new set in the Stampin' Up! 2016-2017 Annual Catalog called Thoughtful Banner which has a coordinating Duet Banner Punch! I was so excited to see this! I love the frameits, and punches are even better! 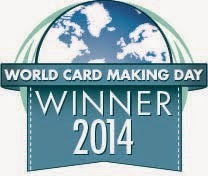 Hope you enjoy the card and that you are able to play along with us at Stampin' Celebration!